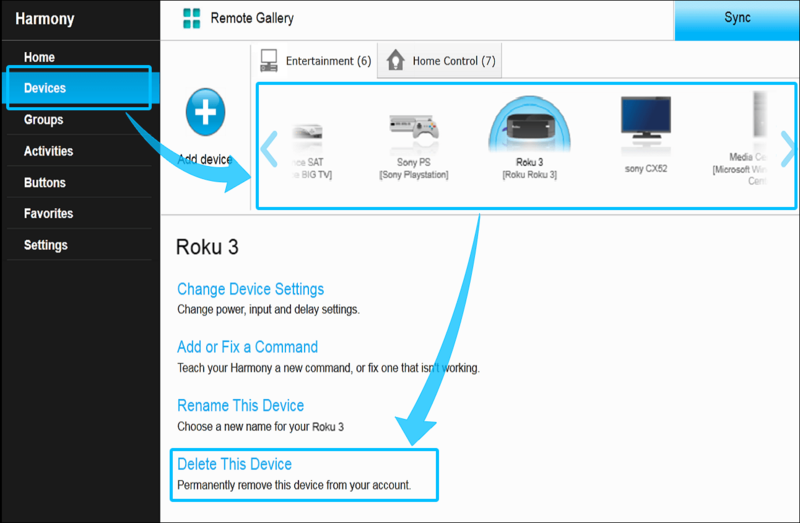 Sign in to your Harmony account to remove a device from your remote. If you're trying to remove a remote, please see How to delete a remote. Select the device you wish to delete. Scroll to the bottom of the page and select DELETE THIS DEVICE. Press DELETE on the following screen to remove the Device. Sign into your account using the MyHarmony desktop software and select your remote from the gallery. 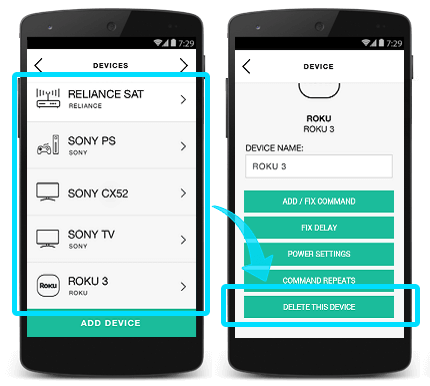 Select the Devices tab on the left side and choose the device you would like to delete. Click Delete This Device, followed by Delete once prompted. Sign into your account using the Harmony Express app. Select the Edit Setup, followed by the + icon. Press the device you'd like to delete until a red trash icon appears to the right. Finally, tap the trash icon and confirm that would like to remove the device.